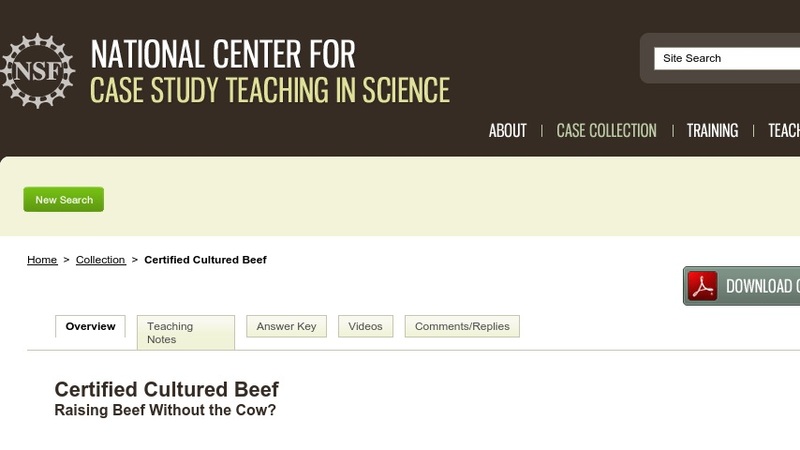 Certified Cultured Beef Raising Beef Without the Cow? In this case study, students are introduced to concepts and techniques in modern biotechnology, as well as the possible implications of this emerging science, by considering the possibility of in vitro cultured meat. Intended for use in a college-level meat science, food science, or human nutrition course, the case could also be used in courses in environmental science, agribusiness, agriculture law and policy, animal philosophy/well-being, and high school AP food science.